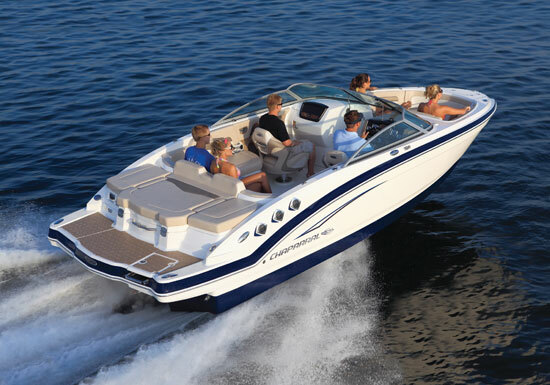 The new H2O line of boats from Chaparral negotiates the new economic reality – and scores some valuable points. Not that long ago, the trend among many boatbuilders was to create larger and larger offerings for a bustling market. 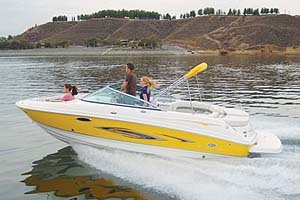 People getting into boating wanted something big and comfortable. Those moving up wanted something bigger and more comfortable. And the arms race was on. 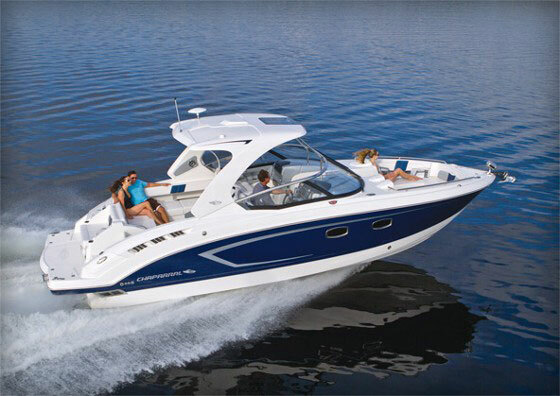 The Chaparral H2O 18 Sport is a well-rounded entry-level package, priced to entice used-boat shoppers to the new-boat market. Of course, you can still buy the big stuff that dominated the early “aughts,” but more and more, boatbuilders are realizing that maybe they should devote some of their focus to smaller models. It shows in the market, too, because we’re seeing a lot of builders debuting entry-level boats with a decent amount of features and amenities. 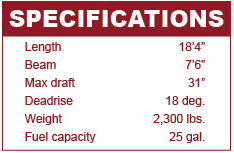 Even better, they’re offering something new at prices that are competitive with boats on the secondary market. That’s bad news if you’re selling a used boat, but great news if you’re shopping. 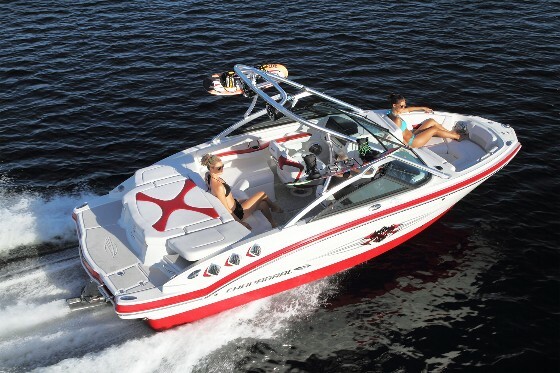 Chaparral’s H2O series seems to be as much a philosophy as it is a four-boat product lineup. Let’s take a closer look at one of those offerings, the H2O 18 Sport, a tight little runabout capable of pulling skiers and being pulled by nearly any vehicle on the road. First, this boat is about price, a no-haggle deal Chaparral advertises at $21,885, which was unheard of a few years ago. By the time it gets to the dealer and prepped, it rings up at $24,075. Still a nice price, though. That money gets you a turn-key package. The 18 Sport comes on a painted single-axle trailer with submersible LED lighting, fenders you can step on, a breakaway tongue and brakes in states with laws that require them. That gets you to the water, but what do you get once it’s in the water? 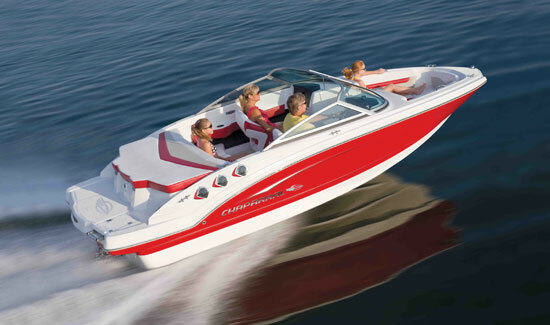 Power choices are simple—there’s only one: MerCruiser’s 3.0-liter MPI four cylinder, which produces 135 horsepower. If you skipped over that sentence quickly, read it again. Yes, the 3.0-liter is now available with multiport injection—let the pigeons loose—and it’s the only engine available on the 18-footers in Chaparral’s H2O lineup. That powerplant is enough to pull skiers, wakeboards, tubers, and kneeboarders. No, there’s no standard tower, but one is available for $1,995 if your kids can’t do without one. The bimini and mooring cover also are optional, at $635 and $650 respectively. 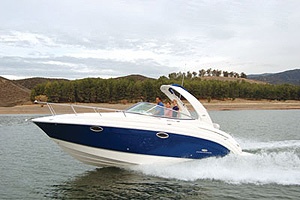 What makes the 18 Sport seem less like an entry-level offering is that Chaparral capitalized on its economy of scale and used many of the same materials from its more expensive boats—including swivel front seats and chromed bilge vents. That means the inside doesn’t feel cheap because, well, it isn’t. 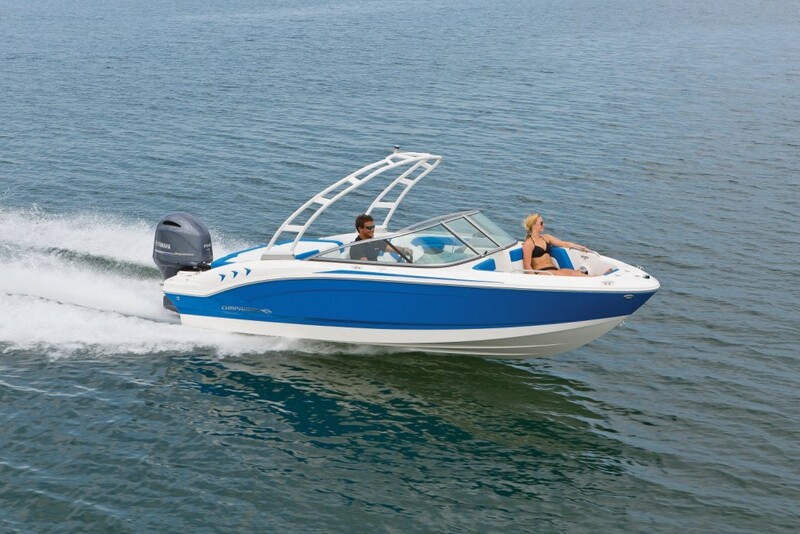 “Starting with styling cues from our award-winning SSi Series, Chaparral benchmarked the leading names in the value market and did the competition one better in dashboard design, bucket seat construction, multi-purpose cockpit layouts and hardware,” said Mark Spencer, spokesman for Chaparral boats. The deck and sole is a one-piece affair from bow to stern, so the stowage compartments are all finished in positive-molded gelcoated fiberglass, rather than raw fiberglass brushed with gelcoat. Likewise, the in-sole locker is finished nicely and even comes with a gas strut to support the lid. Not one for leaving out details, Chaparral also laid out the helm nicely, with angled gauge faces to reduce glare and enhance ease of use. All the instruments are there, including a trim gauge, which is useful for fine tuning the ride while towing riders or skiers. To port, the glove box features USB connectivity to the FM stereo, which has two speakers. You read that right. No AM. But who listens to AM on a boat anyway, right? Astern, there is the traditional aft bench with stowage under the outer cushions and a built-in cooler at center. The full-width sunpad gives way to a proper swim platform, with nonskid and a three-step telescoping ladder to starboard. In short, the best part about the Chaparral H2O 18 Sport isn’t that it is packed with features you can’t find on competitors’ models. No, the best part is that it could take buyers who might have been looking at something used—and perhaps unreliable—and direct them toward something new, with the peace of mind that comes with a warranty and an established dealer network. So, the boom of the early “aughts” is gone. In its place is the new normal. And with sound offerings like the 18 Sport, maybe that’s not so bad. 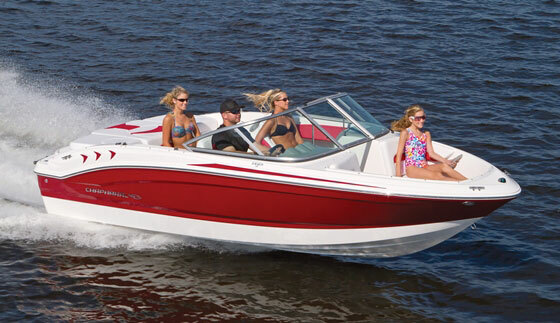 Chaparral 204 Xtreme: Runabout or Tow Boat?